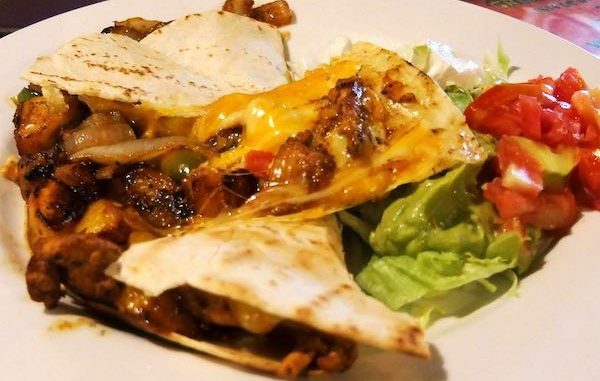 Ay Jalisco Sebastian Mexican restaurant features quesadillas with mango. SEBASTIAN – Patrons respond to Ay Jalisco’s recent temporarily closure by dining at a place they love in Sebastian. As soon as Ay Jalisco’s passed the health inspection on Friday afternoon, they re-opened and it was business as usual. The parking lot was full, and people were in line waiting to be seated. “Today we’re very happy to say [the] Health Department came in and after an exhaustive inspection, [gave] us a green light to open,” the restaurant posted on its Facebook page. One thing for sure, Sebastian residents enjoy going to this restaurant and have made their support known. Ay Jalisco was closed Thursday by the health department after the inspector found eight violations. Within 24 hours, the restaurant met inspection standards and was reopened. On Thursday, we observed employees deep cleaning the kitchen and equipment using pressure cleaning equipment. The staff at Sebastian Daily goes to Ay Jalisco on a regular basis and has never seen a roach in the establishment. We will continue to dine there because we enjoy the restaurant.